Sleep apnea sufferers face a bewildering range of decisions when it comes to choosing CPAP equipment. Thankfully, the folks at Resp Shop have put together a useful guide to picking the right CPAP mask. 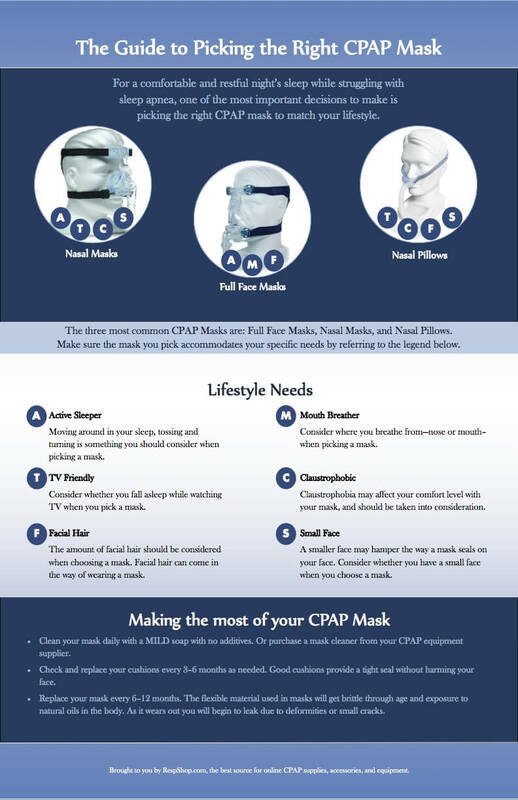 For a comfortable and restful night’s sleep while struggling with sleep apnea, one of the most important decisions to make is picking the right CPAP mask to match your lifestyle. Make sure the mask you pick accommodates your specific needs by referring to the legend below. A -Active Sleeper Moving around in your sleep, tossing and turning is something you should consider when picking a mask. T -TV Friendly Consider whether you fall asleep while watching TV when you pick a mask. F -Facial Hair The amount of facial hair should be considered when choosing a mask. Facial hair can come in the way of wearing a mask. M -Mouth Breather Consider where you breathe from—nose or mouth– when picking a mask. C -Claustrophobic Claustrophobia may affect your comfort level with your mask, and should be taken into consideration. Clean your mask daily with a MILD soap with no additives. 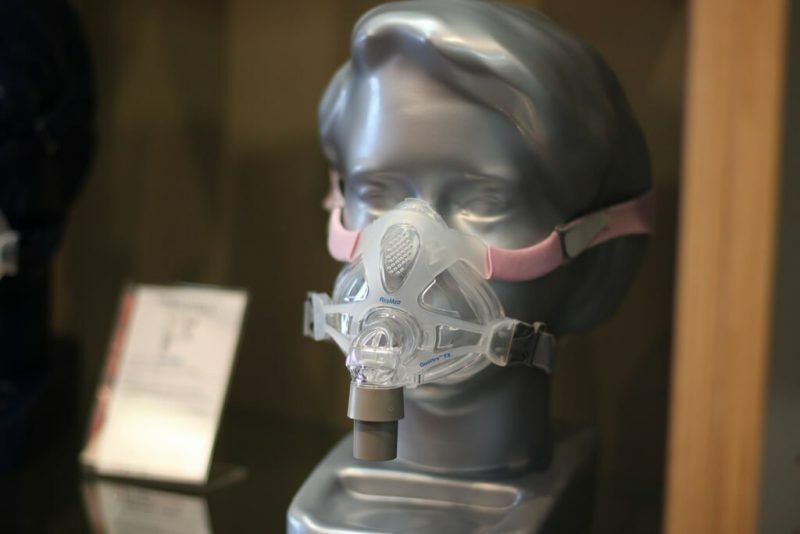 Or purchase a mask cleaner from your CPAP equipment supplier. Check and replace your cushions every 3–6 months as needed. Good cushions provide a tight seal without harming your face. Replace your mask every 6–12 months. The flexible material used in masks will get brittle through age and exposure to natural oils in the body. As it wears out you will begin to leak due to deformities or small cracks. Brought to you by RespShop.com, the best source for online CPAP supplies, accessories, and equipment.